Excellent facilities and professional links are hallmarks of this course. If you don’t have the qualifications to join the honours degree directly, the foundation year is your first step to success. Interested in taking your first steps towards a career in forensic science – one of the most pioneering professions of all? Achieve your ambitions by embarking on this dynamic four-year course which includes a foundation year. If you want to become a highly skilled, confident and forward-thinking forensic scientist, this course is the ideal stepping stone. We have devised the foundation year route to open up new opportunities for students who have the ability, ambition and interest to study Forensic Science at Derby. It’s an excellent choice if you lack the formal qualifications to join our BSc (Hons) Forensic Science directly, if you are considering a career change or if you want to improve your skills in a discipline which is new to you. By commencing your studies at foundation level, you can complete the full honours degree in four years. During your foundation year, you will gain a solid grounding in subjects which prepare you for the challenge of studying an honours degree – not only forensic science but also human anatomy and physiology, cellular biology, chemistry, research methods, data handling and study skills in science. A degree with foundation year is continuous, so you won’t need to apply again for the BSc (Hons) after completing the first year successfully. And you’ll have the full benefits of being a University of Derby student from the outset. Forget what you’ve seen in TV programmes like CSI, Prime Suspect and Silent Witness. At Derby you’ll learn how real crime scene investigators go about their work – and you’ll be fully equipped to join the next generation of forensic science professionals. From crime scene analysis to presenting evidence in court, our expert teaching team will guide you through the entire range of forensic practices and processes, standing you in good stead for the diverse challenges you’ll face in your career. In our exceptional training facilities, you’ll investigate mock crime scenes including break-ins, assaults, vehicles and drug crime. Using the latest biological and analytical equipment, you’ll study how every contact leaves a trace such as fingerprints, DNA, bodily fluids and blood pattern analysis. 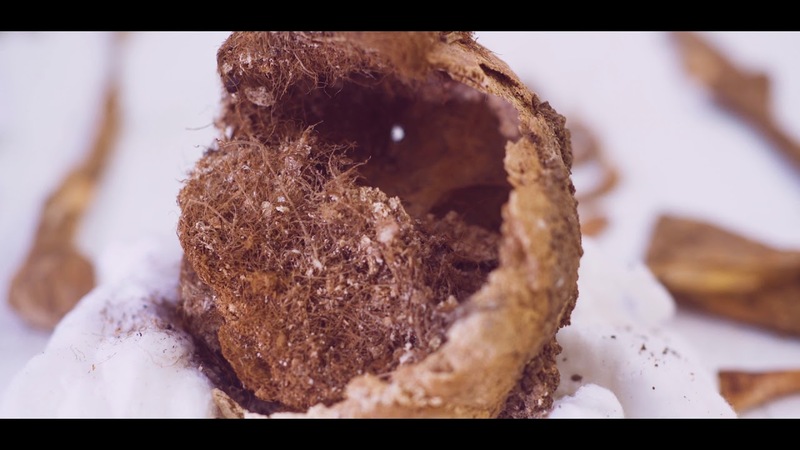 You can also explore how entomology, anthropology, analytical chemistry and taphonomic processes can assist forensic investigations, and there is an opportunity to observe a post mortem. In addition, we foster your skills and confidence in delivering evidence in court: you’ll present your findings in our courtroom and will be cross-examined by barristers, exactly as you would be in the world of work. One of the highlights of this course is the chance for you to build impressive practical techniques in our custom-designed . You will investigate a range of ‘crime’ scenarios in different domestic and commercial settings, including a bedroom, bathroom, garage, office, store and pharmacy. The building, which also features a blood pattern analysis room, was designed to such a high specification that it is used by external clients such as the emergency services for their own training purposes. State-of-the-art digital surveillance, including panoramic CCTV recording and equipment for two-way audio feedback, means that you can work on crime scenarios independently while tutors monitor your progress in real time from a control room. To add an extra dimension to your studies, our resources also include two crime scene cars donated by Toyota Manufacturing UK. Employers are seeking forensics professionals who are, above all, highly analytical. Ours is an applied science course designed to match their needs and expectations, so you will gain a strong grounding in subjects such as analytical chemistry and molecular biology. You will spend significant amounts of time putting your theoretical knowledge to the test in our well-resourced forensic, biological and chemical laboratories featuring modern instrumentation. You will also have access to our well-equipped imaging suite and insectary. Students who choose our Forensic Anthropology module will also work with a variety of archaeological specimens including Anglo Saxon skeletons loaned by Derby Museum. Thanks to our strong links with employers, we can make your learning experience even more authentic, realistic and meaningful. We have long-established associations with Derbyshire Constabulary, Derbyshire Fire and Rescue Service and the East Midlands Scientific Operations Unit (EMSOU) which will inspire and motivate you. You could, for example, find yourself taking part in interactive fire demonstrations at Derbyshire Fire and Rescue Training Station or learning from the police forensic trainers who use our crime scene house for their projects. Some of our students take the opportunity to go on placement in the forensic imaging unit, footwear unit or forensic analytical service laboratories at EMSOU. With almost 30 years of commercial forensic experience between them, our staff will give you vital insights into every aspect of the profession. They are not only highly knowledgeable but also enthusiastic, supportive and dedicated to your success. Their research expertise spans fields such as entomology, forensic photography, drug analysis, anthropology, taphonomy, fingerprint detection and enhancement techniques, blood pattern analysis and fire investigations. This course also benefits from the input of visiting speakers who have their fingers on the pulse of the latest developments and ideas in forensic science. To broaden your perspectives, we welcome other criminal justice professionals too, such as police officers, lawyers and judges. From ballistics and trace detection of explosives to forensic photography and document analysis to entomotoxicology and analysis of new psychoactive substances – our students have undertaken practical investigations into some of the key challenges facing today’s forensic experts. You will have the chance to add your own voice to the debate by conducting a final-year research project on a theme that interests you most. You could then share your findings through external conferences or forensic journals. Such activities represent an exciting opportunity to network with other professionals and raise your profile. Some of our former students have scooped prestigious awards from organisations like FIRN, Royal Society of Chemistry and the Fingerprint Society, or have been invited to present their ideas at the Houses of Parliament. Our course provides a variety of learning experiences to engage you, including crime scene training, lectures, practical sessions and fieldtrips, including the opportunity to observe a post-mortem. With a Forensic Science degree from Derby under your belt, you will have a head start in a challenging and fascinating profession. You could pursue your career not only in the forensic science sector and criminal justice system, but also insurance companies or any industry where a good science degree is invaluable. Derby graduates now work as scenes of crime officers, analytical chemists, forensic laboratory technicians, forensic intelligence analysts, microbiologists and PCR analysts. They are realising their potential with police forces as well as companies like SOCOTEC, Cellmark, Minerva Scientifics, Rolls-Royce, Lubrizol and LGC Forensics. This degree also paves the way to postgraduate level learning. As an applied science course, it equips you to progress to qualifications in medicine and can pave the way to MSc, MRes, MPhil or PhD study. Some of our students are now enjoying teaching careers within secondary or further education after completing our PGCE Post-14 (Education and Training) qualification.